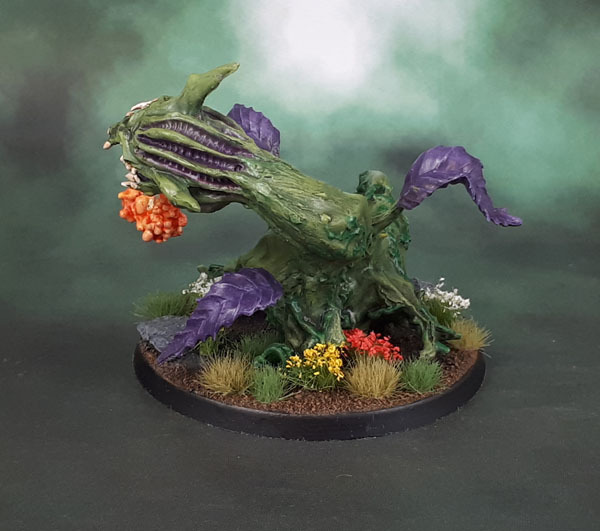 Reaper Miniatures | Azazel's Bitz Box. Sometime last year, I got on board the Bad Squiddo train and backed Annie’s Kickstarter campaign for Freja’s Wrath – Viking Shieldmaidens. As part of the KS and Pledge Manager, I also picked up a whole lot of the “Fluffy Chums” that BSG offers. While I haven’t started on any of the vikings yet, I did find the beavers in a baggie and decided to smash them out, so I did so pretty quickly, just pausing in February so I could finish them in March – as part of the Gender-Ambiguous Painting challenge. Because even if I try to look under their tails, I can’t definitely tell which of these little fluffballs are female or male! Yeah, I’m way behind in posting stuff for this month. 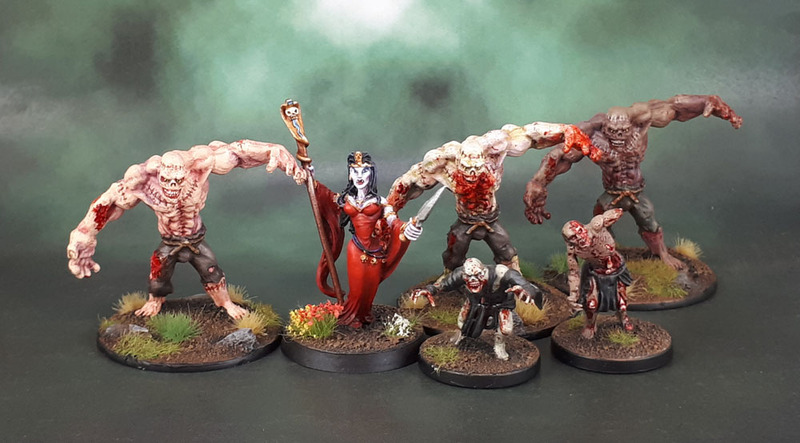 So here’s the first batch – some Mummies from Reaper Bones, via one of their Kickstarter campaigns. 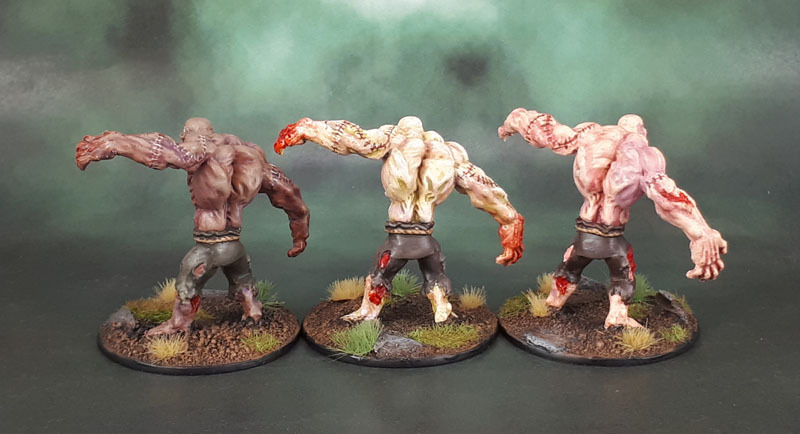 I did these using a different method to the usual ways I paint mummies. 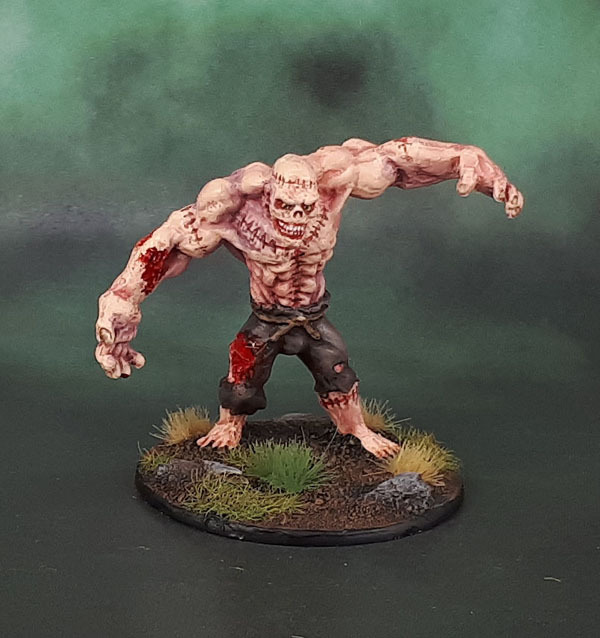 More of a lighter set of bandages, and a darker wash to create more of a contrast. 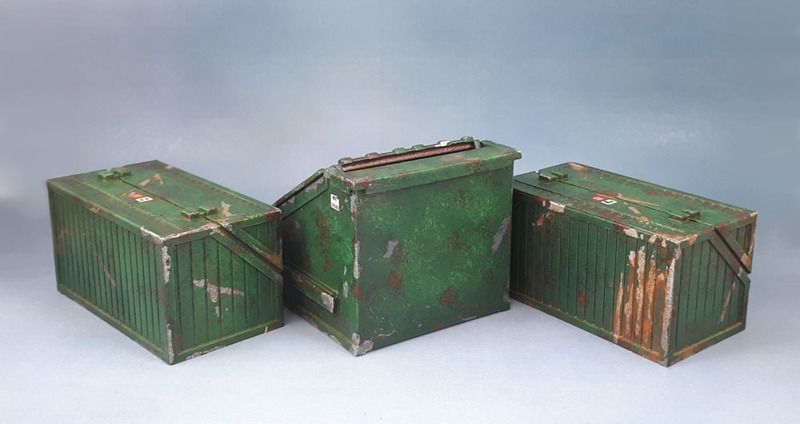 These figures are the ideal type to experiment on, as they’re basically disposable garbage models. 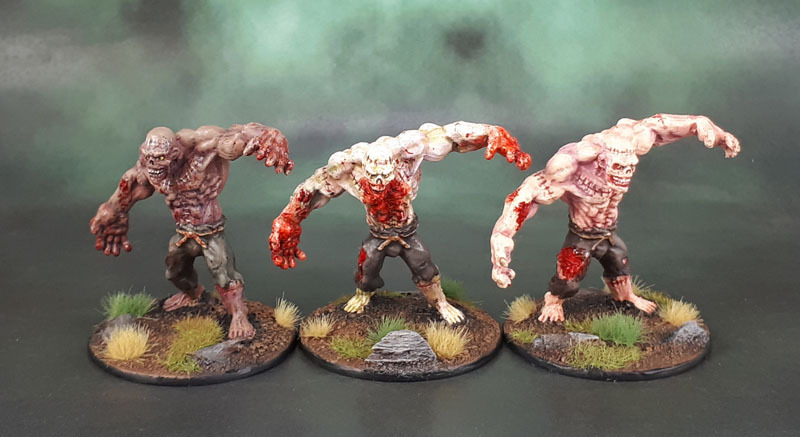 These were one of the sets of models that inspired the challenge for March, as desiccated, bandage-wrapped walking corpses are pretty much a definition of “gender-ambiguous”. 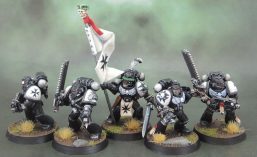 They make a pretty good unit for Kings of War, which makes it all the more unfortunate that the models are so rubbish. Ah well! 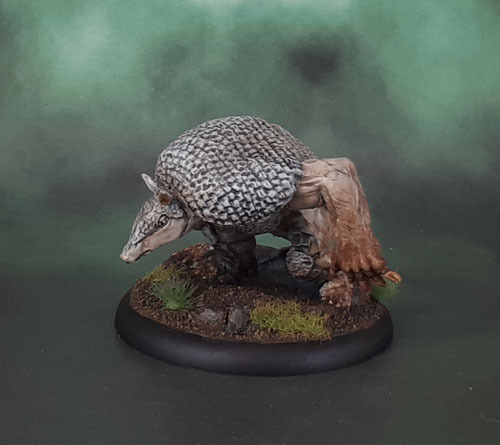 Today I have the next of this month’s Neglected Models – a somewhat random Reaper Bones model of a Werearmadillo. 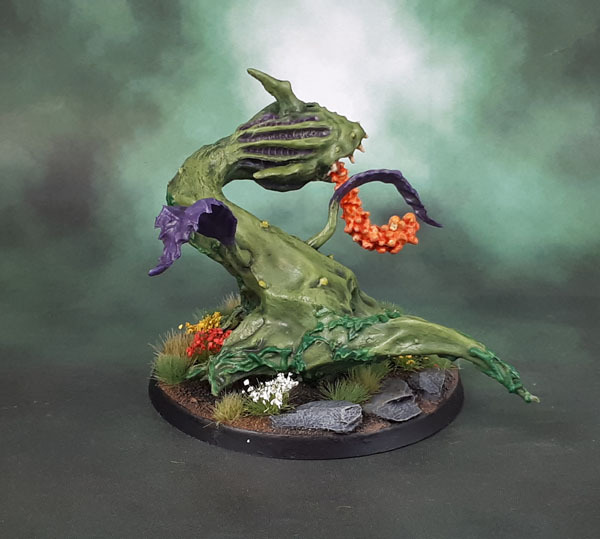 I’m not sure if this is a D&D-type thing (since many Reaper models are unofficial D&D critters) or just one of the really random things that Reaper puts out. 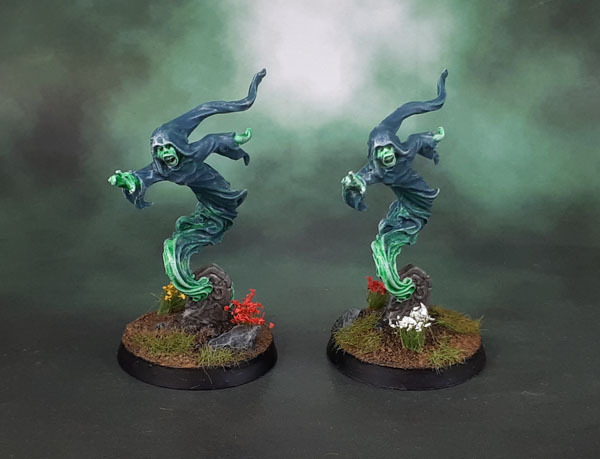 Either way, it came out of a tub of Bones models several months ago when I was looking for something else because it looked easy to paint, then it got started, then pushed aside, neglected for months. 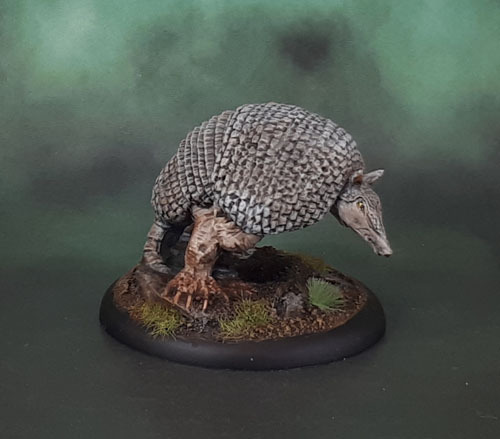 I mean – just look at it – it’s not the most inspiring or exciting model out there – especially if you don’t specifically need an anthropomorphic armadillo for something and you’re just painting it as a random thing. So I made myself get the lead out and get the thing finished so I could get it out of here. 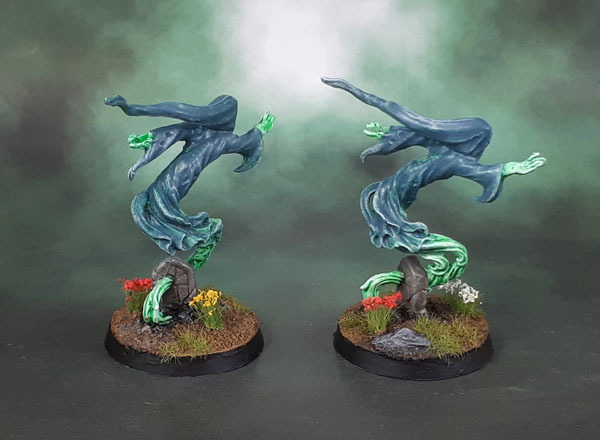 The model is on a 50mm rolled-edge base to get around how very warped it was, so it’s not an especially small model, though it’s far from tall due to its hunched posture. The integral base was more than a little awkward to clip down so I ended up leaving part of it and painting it as a rocky outcrop that it’s walking over. There’s nothing particularly interesting happening here, and I didn’t even look up photos of real armadillos. 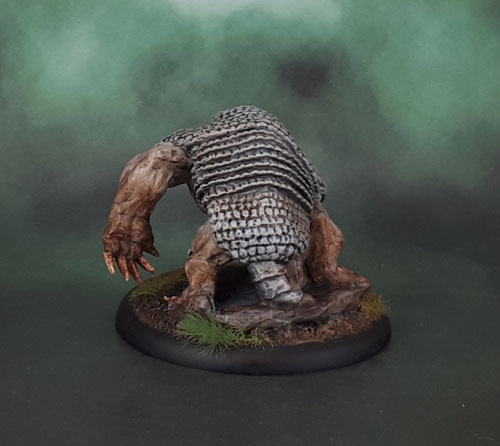 I just went with a couple of appropriate looking tones to differentiate the “armour” and the heavy, thick looking skin of the beast. 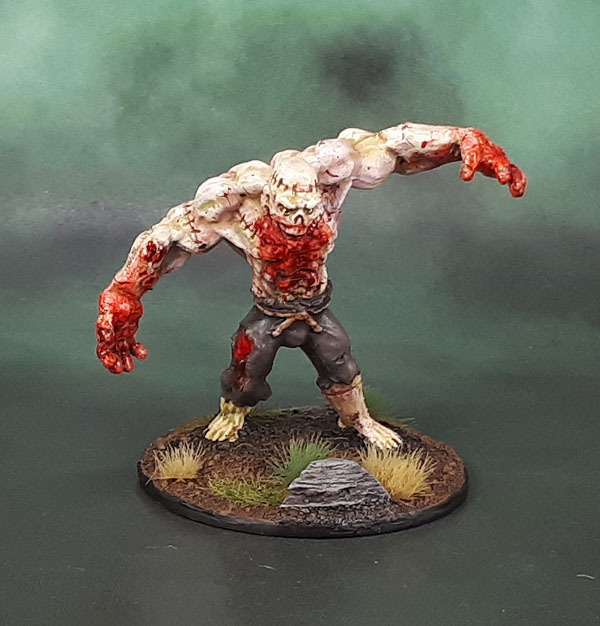 Rather than going for blood dripping off the claws, I decided to instead dirty up the limbs and the claws with weathering powders, to represent that the creature likely spends a fair bit of time digging in the dirt. So… yeah. 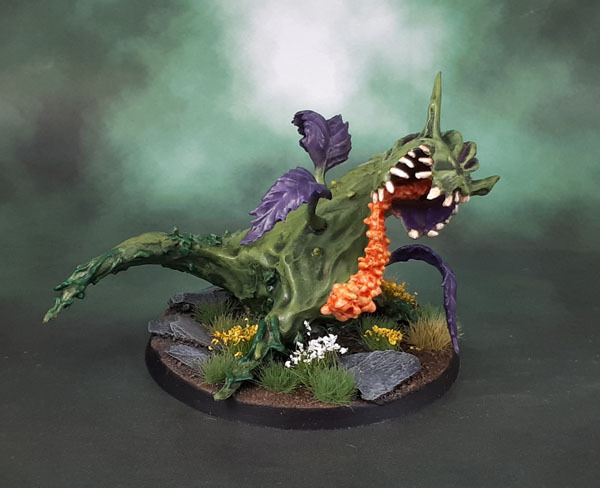 No idea what I’d ever use this model for aside from the “maybe while playing Pathfinder or some other RPG or GMing a miniatures game where I need a random-ish monster one day” catch-all disclaimer. Ah well. 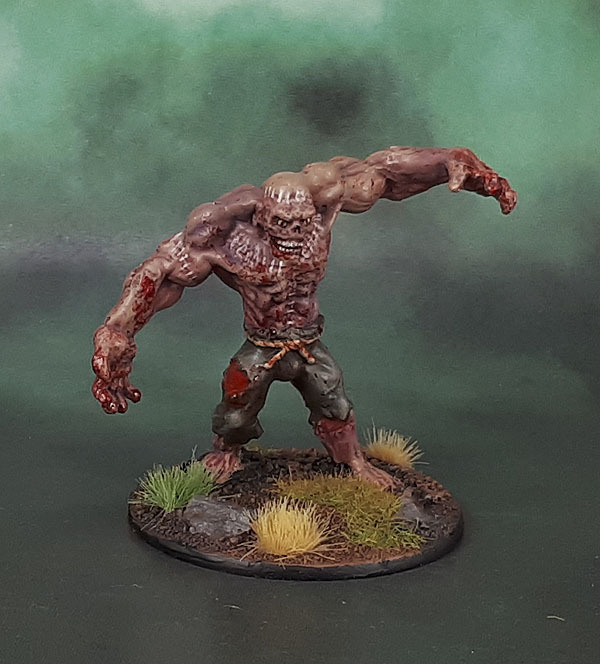 Another model done!